‘Clean Up’ days were first started in Australia in 1989 as an event where local communities came together to clean up their neighbourhoods. The first event in 1989 saw 40,000 people hit the streets to clean up rubbish, protect and care for their local environment. Now the annual events involve more than 300,000 volunteers and Clean Up days are held world-wide. 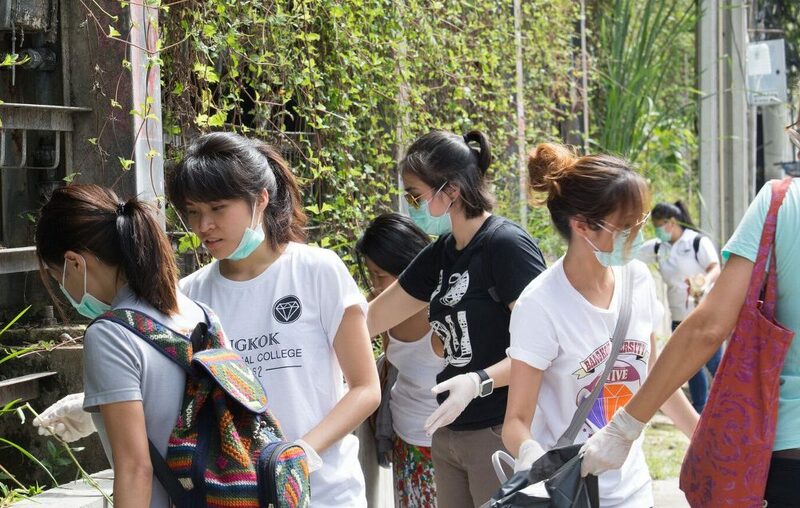 Each September, Bangkok River Partners join the global behaviour change program ‘Clean Up the World’. Hotels in the Creative District work with Bangkok Metropolitan Administration, local businesses, community groups, schools, and their neighbours to tidy streets, spruce up green space and remove rubbish from the canals that run into the Chaophraya River. If you would like to join the Clean Up in the Creative District, please contact David Robinson.